Dress as your favorite turtle from Michael Bay's take on the Teenage Mutant Ninja Turtles! 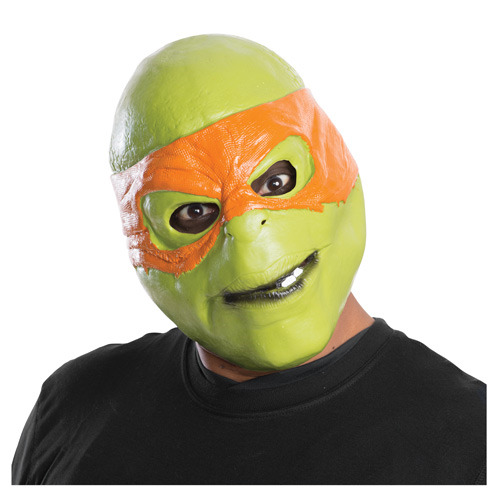 This fun Teenage Mutant Ninja Turtles Movie Michelangelo Adult Mask recreates the look Mikey sports in the 2014 film. The mask covers the face and is fixed in place via a band. Ages 14 and up.